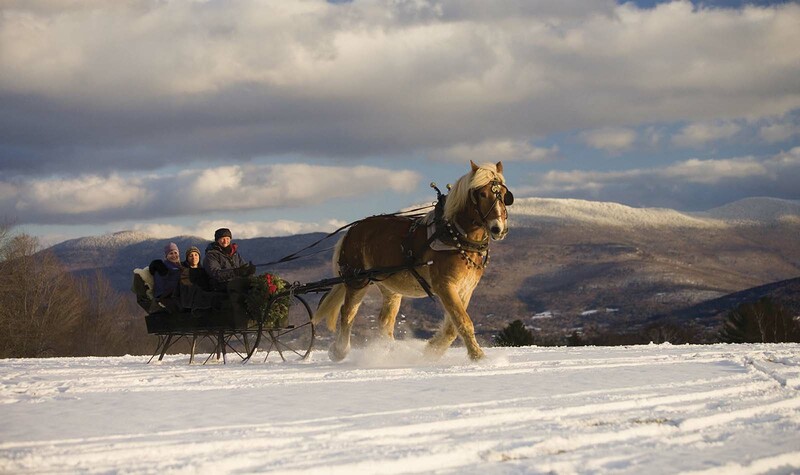 Experience the natural beauty of Trapp Family Lodge and its extraordinary mountaintop setting on a horse-drawn sleigh or carriage ride. This fun-filled adventure is welcome to children and adults. Take in the scenery with a group of family and friends or a private intimate ride with your sweetheart or immediate family. Sleigh Rides are now closed for the 2018/2019 Winter Season. Sleigh Rides require a reservation. Reservations and cancellations must be made by 9am the day of the ride. All rides begin and end across from the Outdoor Center.